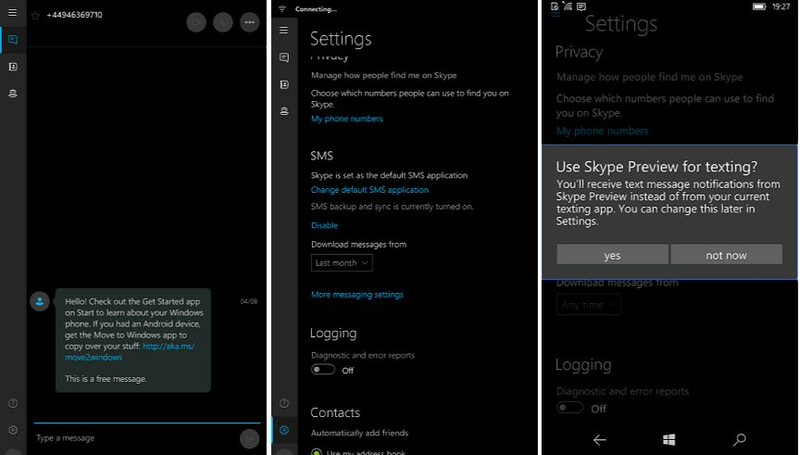 Skype Preview has now added SMS feature to Windows 10 Mobile devices. The latest update Skype Preview version 11.8.180 is now available for insider members. Now Skype users can send SMS messages directly from Skype. Microsoft will release this new feature to all Windows 10 Mobile users in the near future.